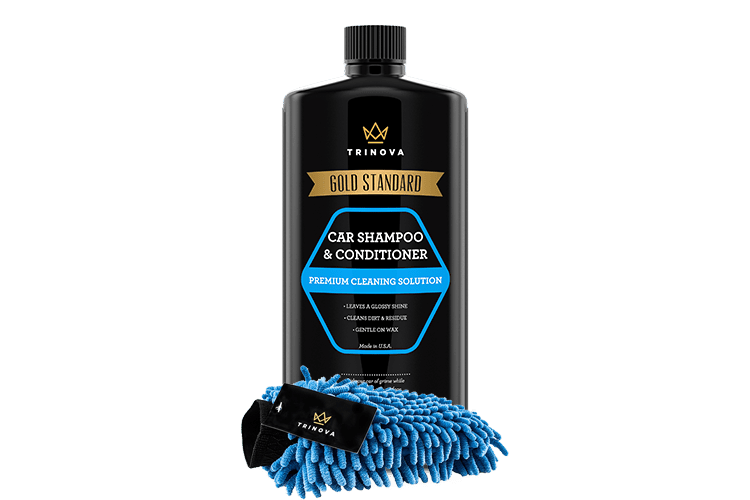 A vital part of any detailing kit, keep TriNova’s Car Wash Soap on hand along with other accessories such as polish, buckets, hardware and more so you’re prepared to deliver a professional finish right away. 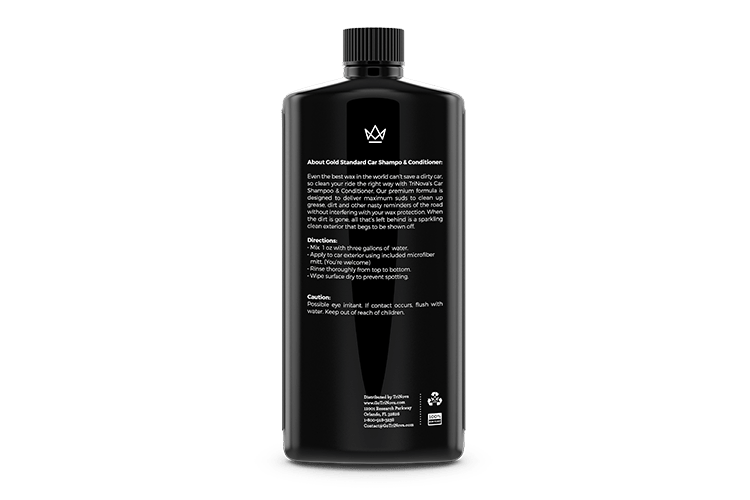 Mix one ounce of product with three gallons of water. 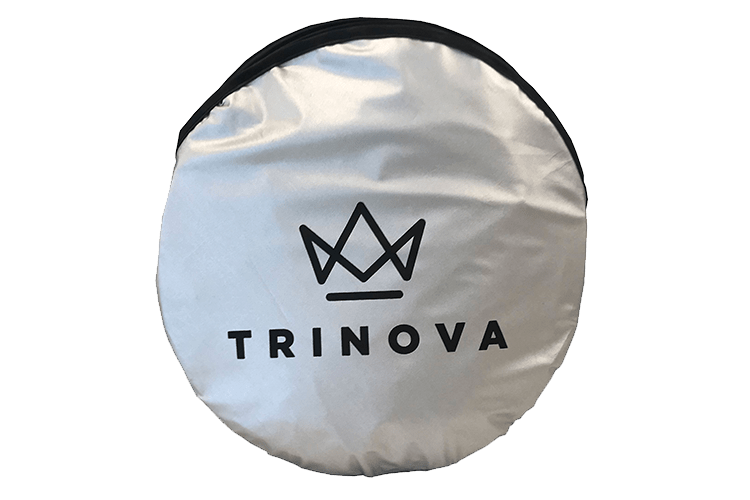 Apply to car exterior using microfiber mitt. Rinse thoroughly starting on the roof of the car. Wipe surface dry to prevent spotting. 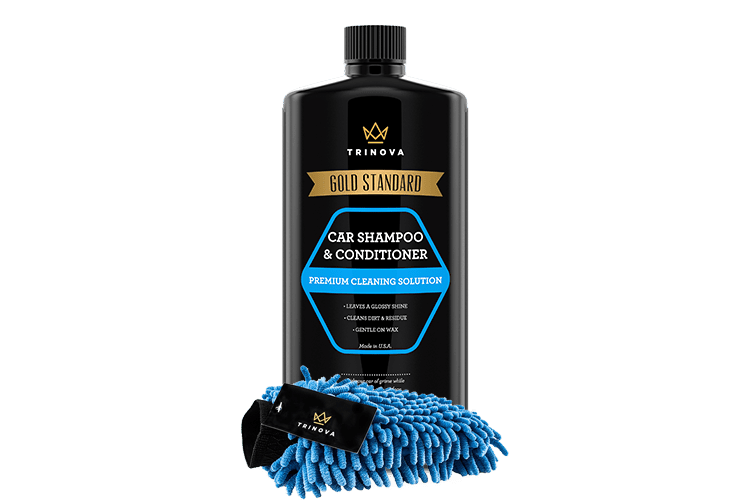 TriNova® Car Wash Soap is rated 5.0 out of 5 by 3. 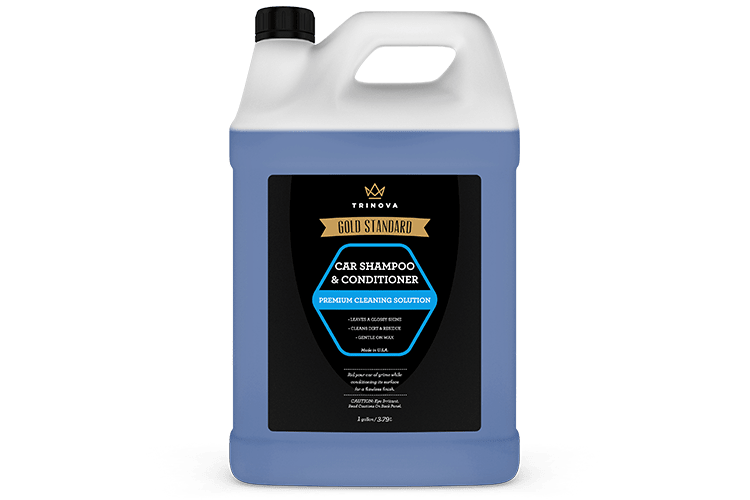 Rated 5 out of 5 by Kathy Myers from Performed Well The sun came out today, it was mid 50's, and I thought this would be a good day to try the Car Shampoo and Conditioner. 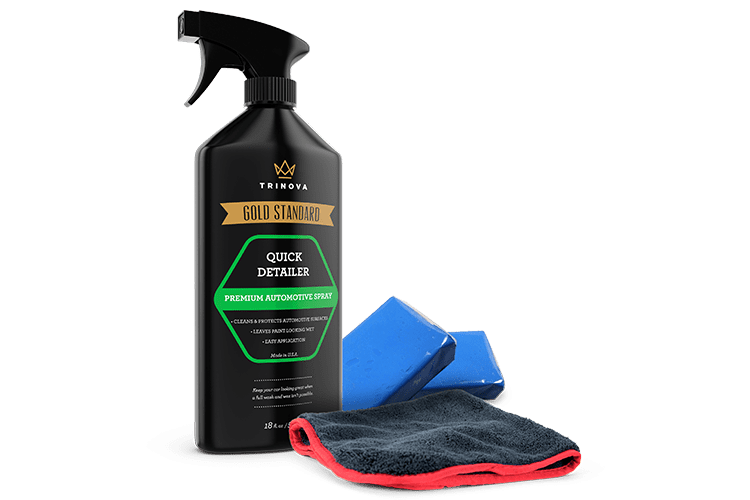 I was pleased the the cleaning mitt, as it absorbs the cleaning product and nicely wipes dirt, and grease from my car. Very little elbow grease was required to get off the tough spots. After wiping my car down, I rinsed off with water and dried off the wet spots. 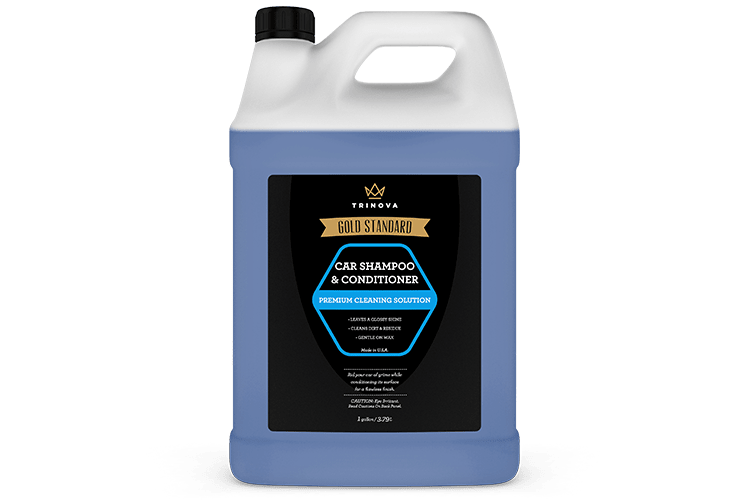 I will continue to use this Car Shampoo and Conditioner. Very easy to use. Great finish and shine. 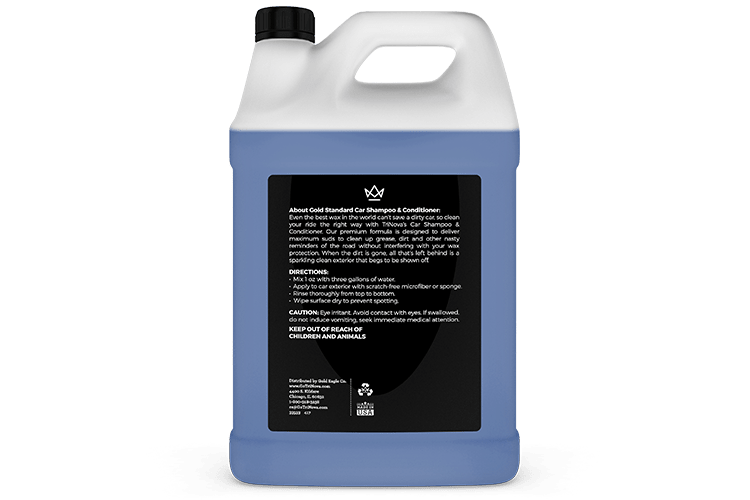 Rated 5 out of 5 by Klasse Act from Safe for ceramic coated cars! 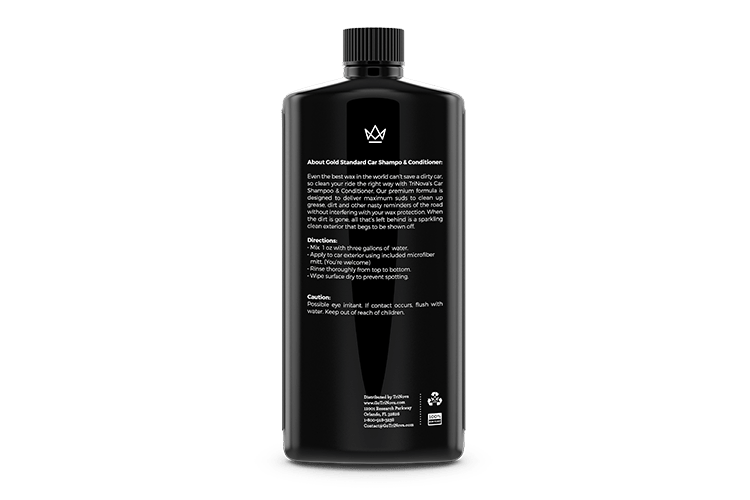 So having a ceramic coated car is great but modern carwash soaps can alter the appearance due to waxes and gloss enhancers, this product is a pure carwash soap. 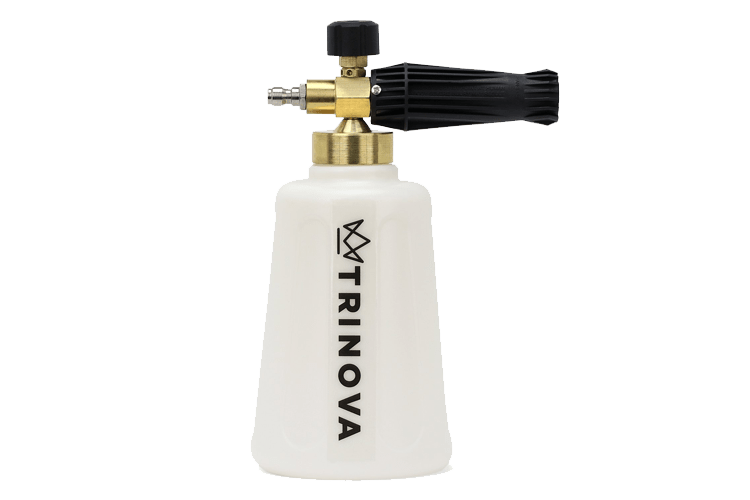 I have a Worx hydroshot and added a half an ounce of the TriNova carwash soap to the foam attachment. This allowed a nice amount of soap on the car, now it was time to make up the soap bucket. I had about 2.5 gallons of water and added 1 ounce of the soap and sprayed it up to get foam. Maybe next time I'm going to add the soap first and then add water to get even more suds but either way, it did a great job washing the car. 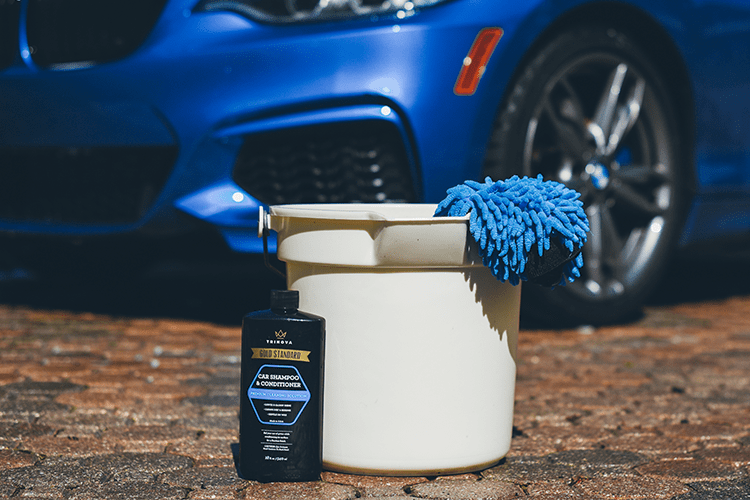 I washed my wife's car first, which isn't coated and then my car which IS coated, it finished great in both applications. I highly recommend this product, it's a nice price and made here, a win win! Looking forward to my future washes! Rated 5 out of 5 by Joe Mish from Thorough Wash Excellent car wash, Totally cleans dirt off vehicle.